that really is a holiday! Refresh your mind, body and spirit with a truly exceptional holiday that offers more than you can imagine! Tucked away in a breathtaking corner of Greece, Healthy Options Yoga, Pilates and fitness holidays encompasses the everyday relaxed life of small fishing villages, nestled on the tranquil coastline of rocky coves, with sparkling emerald waters and azure blue skies that only Greece can provide. On a Healthy Options holiday, you can do as little or as much as you like. We invite you to wake up each day to a new adventure. Our Yoga, Pilates and fitness classes are for everyone, from complete beginners through to the more experienced. All our classes are run by qualified professionals who are passionate about what they do. On top of that, we offer many other holiday activities to inspire and invigorate you. Try paddle-boarding, sailing, windsurfing, rafting and snorkelling. Explore the olive groves either on our guided walks or bike rides, then soothe your energised muscles with a relaxing massage. Our friendly, laid-back atmosphere appeals to everyone: solo travellers, couples and groups of all ages and nationalities are all part of our Healthy Options community. You’re free to spend time alone reading, relaxing or sunbathing or hanging out in the vibrant beach bar making new friends. Either way it’s your holiday and you can choose to dip in and out of the classes and the social scene as much as you like. Whether you’re adventuring on your own or with others, you’ll stay in our family run comfortable beachfront accommodations. You can choose from our action-packed centre in Vassiliki or the more tranquil centre in Syvota, you can be sure that you’ll return home relaxed, reinvigorated and refreshed ready to face whatever life has to throw at you! If you’d like to know more or have a question, we’d be happy to have a chat with you. Just leave us your number and we’ll get back to you as soon as we can. Are you ready to book your holiday or do you still have any questions? Its's easy get in touch with us! Guided excursion to beautiful Agio Fili beach and a short meditation before sunbathing, then returning to Vassiliki by speedboat stopping for swimming and snorkelling along the way. We’ve chosen two hidden gems, both delightfully set in glorious surroundings. Both will revive your senses and captivate you with the laid-back atmosphere of traditional Greek culture, but each of them has a style, spirit and flavour all their own. Learn more about the differences between our two centres. 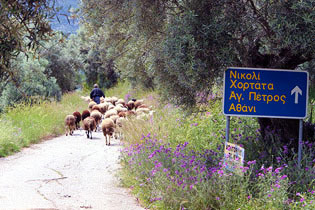 We welcome you to the beautiful Greek island of Lefkas, the emerald of the Ionian Sea, your home for your holiday. It’s an island famous for its natural beauty, its lush, verdant hillsides and award-winning beaches a world away from the ravages of modern tourism. Choose Vassiliki if you’re looking for a place filled with energy and a sprightly vibrancy where there’s loads to do. Vassiliki is a tiny, classically Greek fishing village, settled alongside a wide, beautiful bay at the southernmost tip of the island. It’s renowned as one of the top spots in the world for watersports and you’ll enjoy the thrill of sailing as well as your own little paddleboard safari, among a huge choice of other activities - check out the Vassiliki sample schedule here. 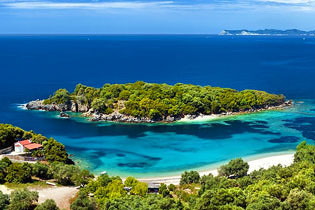 Choose Syvota if you’re looking for the ultimate in relaxation in a beautiful setting. Just like in Vassiliki we offer a range of body-and-mind renewing activities, but Syvota has an old-world tranquillity and relaxed pace that can’t help but draw you in. You’ll stay in our lovely hotel Mega Ammos, perched on a hillside, outside of the village, overlooking the islands of Paxos and Corfu. 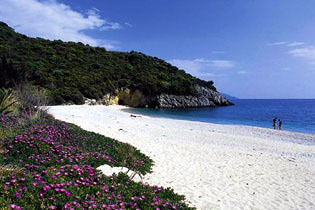 Stroll down the garden pathway to a sheltered beach, where you’ll find sunbeds, parasols and three delightful tavernas. The nearest shops & supermarkets are 1.5kms away on the outskirts of the village, while you’ll find ample other restaurants and shops by the picturesque harbour a further 500m away. To learn more about all the irresistible activities like Yoga, Pilates and river rafting we offer in Syvota, you can check out the Syvota sample schedule here. Who will you meet on your holiday? 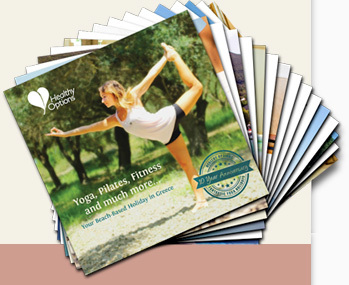 Our Healthy Options holidays are designed for anyone who wants more out of their holiday than just a suntan. Our holidays are suitable for solo travellers, couples and groups; for the young and for the wise; for those who love exercise and adventure and for those just starting out on their healthy journey. We keep group sizes small so that we can offer you personal attention. We pride ourselves on the friendly and warm atmosphere of our holidays, where we see everyone as an individual with unique qualities and challenges. This is one of the things that sets us apart for the large holiday operators. It does however mean that places are limited and often booked solid months in advance, especially during peak season. If you want to join us this summer, make sure you don’t wait too long before contacting us! What’s included in your holiday? For one low price, starting at €495, almost everything is included. Choose between our cosy and well-appointed bed-to-beach hotels and self-catering apartments. Most rooms look out over the sparkling sea or the surrounding hills, which are at their finest in the dawn light and at dusk. 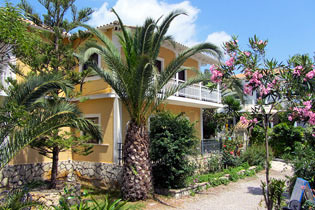 If you’re looking for a bit more luxury, our comfiest hotel is in Syvota. If you’re a solo traveller who’d like to save cost by sharing a room, be sure to read about our Willing to share programme on our pricing page. Yes, we have a huge range of Yoga, Pilates and fitness classes for beginners and for the more experienced alike. On top of that, we offer guided walks and bike rides, cycling, sailing, paddle-boarding, swimming, snorkelling, herbal walks and massage. Note that while our two centres offer a similar programme, details may differ. See our Activities page for details. Our on-site bar and restaurants provide a range of tasty, homemade fare; fresh salads, Mediterranean snacks and meals from breakfast all the way through to early evening. Meals, other than breakfast in our Syvota location, are not included, giving you optimal freedom to venture out into the village and enjoy the flavours of the local tavernas, bars, cafes and fish restaurants. Our social evenings in Vassiliki are legendary; our chilled-out cocktail nights are friendly and fun while our weekly BBQs are more up tempo with live music. We share our social evenings with Wildwind Sailing holidays, making this a perfect opportunity to meet new people and make new friends. If you’re style is more calm and tranquil, then Syvota is ideal for you. Your holiday is set in a stunningly pretty location, steeped in Greek culture and traditions. The orange and olive groves provide tranquil surroundings for cycle rides or evening walks off the beaten track. The picturesque harbour, not far from your hotel, is the perfect setting for a romantic evening stroll. The surrounding hills glow pink and orange in the dawn light and the people of the village are warm and welcoming, positively delighting to show off the beauty and culture of their town. 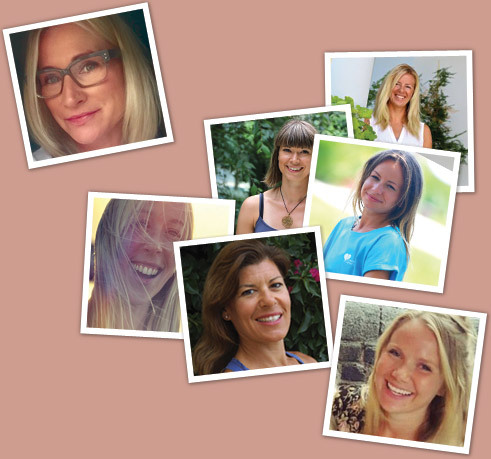 Do you have any questions regarding Healthy Options or our Yoga holidays? Do not hesitate to contact us! We'll get back to you as soon as we can.